many events throughout Wisconsin each year. 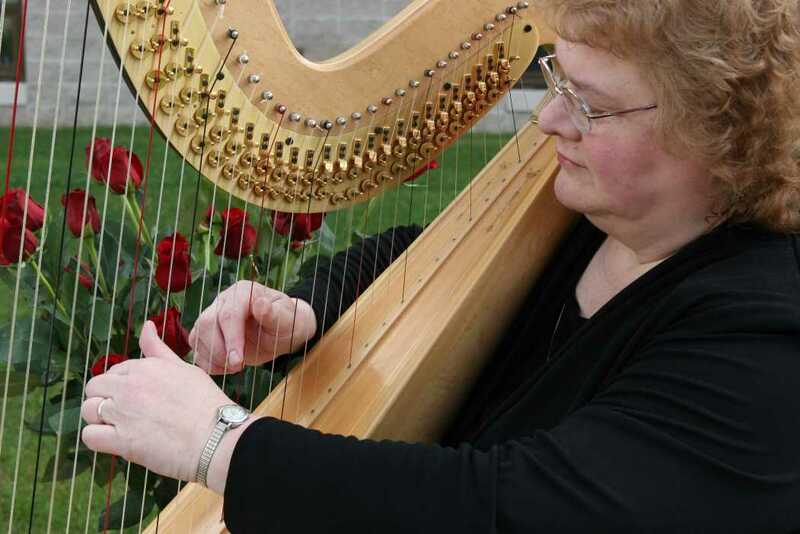 She provides lovely harp music for your special event, whether it be a wedding, anniversary, birthday, reception, dinner, holiday event or "just because!" Various styles of music are available including classical, Broadway showtunes, ethnic, religious, movie themes, contemporary, holiday and all occasion music. Angel of Mercy Wine Tasting! 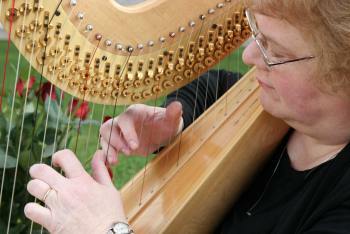 "Linda played for our outdoor ceremony in June of this year. It was a beautiful addition to our ceremony. I had searched a long time trying to find music and a soloist for the ceremony, and I was so happy to have found Linda. It worked out perfect for our setting and ceremony. Linda was very professional, knowledgeable and provided wonderful customer service. I have had many positive comments from our guests about the music for our ceremony and cocktail hour." 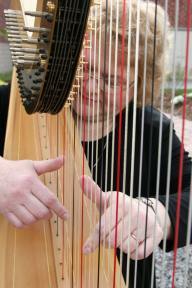 "Linda played at our ceremony in June and we have had nothing but glowing comments from everyone that was there. 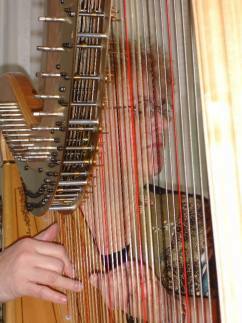 We had numerous people say that at first they thought we had a recording playing until they saw the beautiful harp. She also was willing to go the extra mile and learn new pieces specifically for our wedding which really added to our special day." 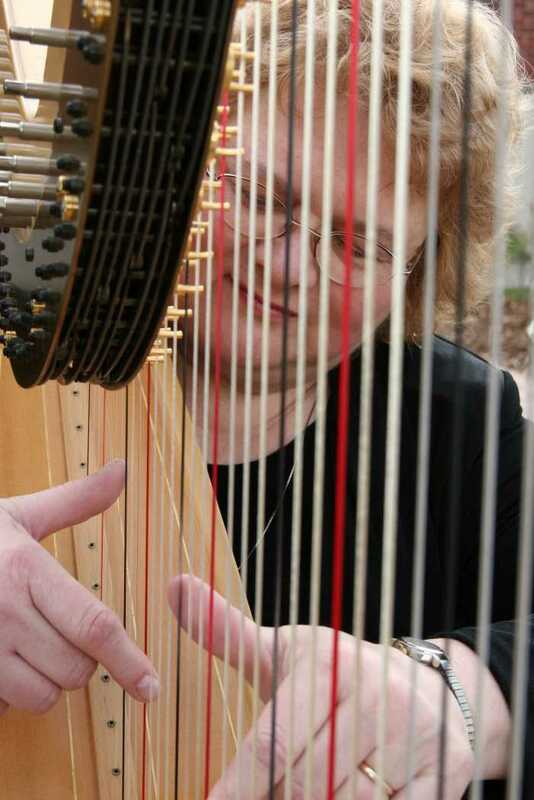 "Harpist Linda Cannon's skill and reverent joy have adds a smile to my face and lift in my spirit during worship services. Her musical selections are Scriptural and her professionalism are appreciated by everyone at Zion." ---Rev. David A Faulkner M.A., S.T.M. Linda Cannon did a beautiful job at our wedding. It was a very elegant addition to our ceremony. She is extremely talented. We also had Linda play for our guests during the cocktail hour while the wedding party was taking pictures. The guests really enjoyed the different music Linda played. They also appreciated the conversation they had with her about her instrument etc. My mother shared with me the many comments guests had about "The harpist". Linda was wonderful to work with as well. She gave me a lot of ideas about different music. When I was researching on the Internet I came across a piece of music called "Canon in F". I was really looking for something other than the usual wedding marches. I asked Linda about this and was surprised she was not familiar with it. She went to her usual resources and nobody was aware of this piece either. Linda went above and beyond to find this music and practice it so I could have it for the processional. It was really special that she did this for us. I would highly recommend her for any event. 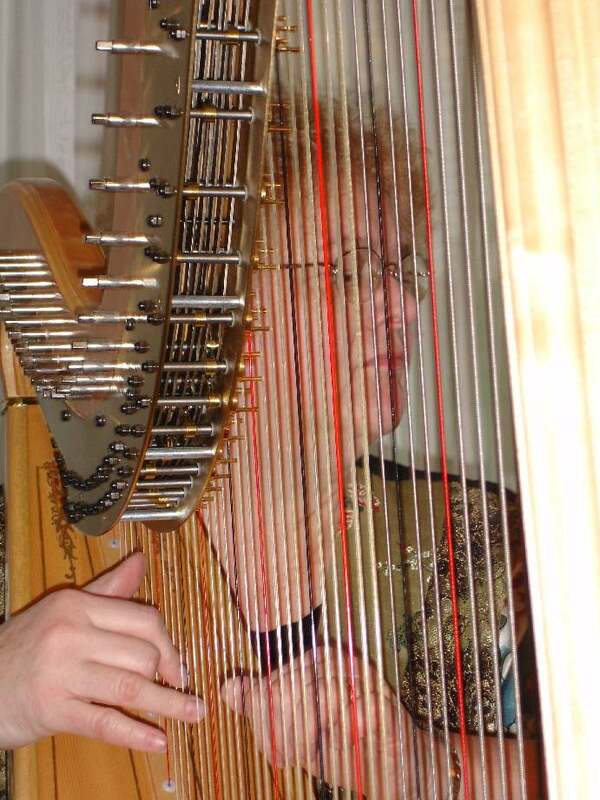 She is a wonderful talented artist and is a very professional harpist who will make sure that you and her are on the same page so everything is perfect for your event. It is always a treat to have Linda perform for our employee awards and volunteer functions. She is professional, prompt and caring. Linda has also volunteered on various occasions to play on our hospital units at Christmas. She plays beautifully and is a treat to look forward to her performances.